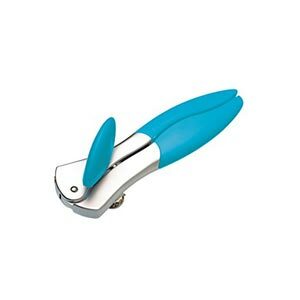 A Colourworks Can Opener with a Blue handle, featuring a strong stainless steel cutting wheel and geared mechanism that has the ability to cut through cans quickly and effectively. 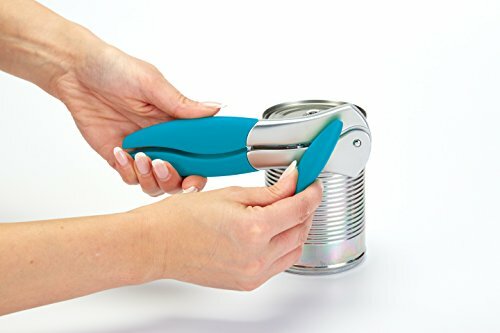 The can opener has a wide-angled design allowing it to open cans of all sizes. The blue ergonomically designed handle is coated with soft touch finishing to reduce the strain from can opening making it easy and effective as well as easy to clean. The opener also comes with a five year guarantee. A range of other Colourworks products are also available in the same tone of blue!